October 2016 | To Whom Shall We Go? Several years ago my family and I visited the Holy Land. One of my vivid memories from our trip was a visit to the upper room in Jerusalem, the traditional site of the Last Supper. I was deeply moved while reading these words and found myself praying in that sacred place that I could ever be one with my family and with my Heavenly Father and with His Son. Our precious relationships with families, friends, the Lord, and His restored Church are among the things that matter most in life. Because these relationships are so important, they should be cherished, protected, and nurtured. 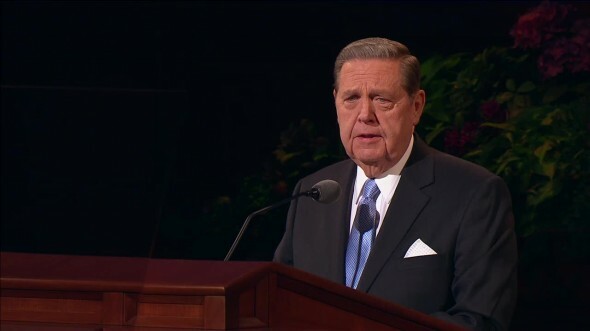 In that moment, when others focused on what they could not accept, the Apostles chose to focus on what they did believe and know, and as a result, they remained with Christ. Later, on the day of Pentecost, the Twelve received the gift of the Holy Ghost. They became bold in their witness of Christ and began to understand more fully Jesus’s teachings. Today is no different. For some, Christ’s invitation to believe and remain continues to be hard—or difficult to accept. Some disciples struggle to understand a specific Church policy or teaching. Others find concerns in our history or in the imperfections of some members and leaders, past and present. Still others find it difficult to live a religion that requires so much. Finally, some have become “weary in well-doing.”5 For these and other reasons, some Church members vacillate in their faith, wondering if perhaps they should follow those who “went back, and walked no more” with Jesus. 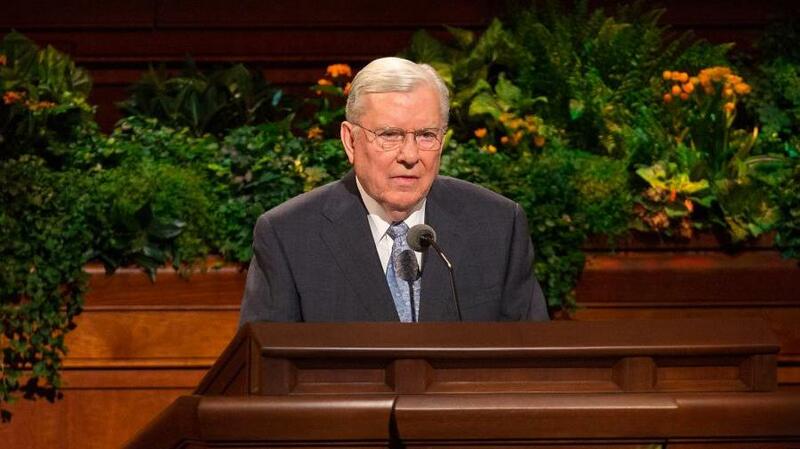 If any one of you is faltering in your faith, I ask you the same question that Peter asked: “To whom shall [you] go?” If you choose to become inactive or to leave the restored Church of Jesus Christ of Latter-day Saints, where will you go? What will you do? 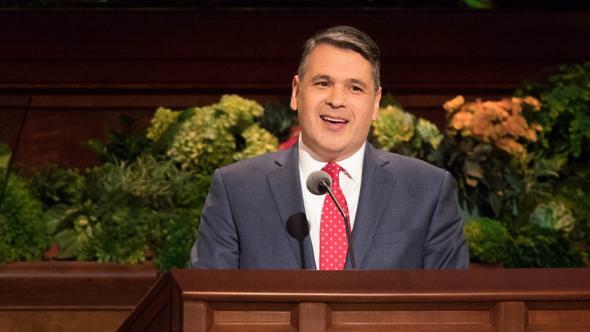 The decision to “walk no more” with Church members and the Lord’s chosen leaders will have a long-term impact that cannot always be seen right now. There may be some doctrine, some policy, some bit of history that puts you at odds with your faith, and you may feel that the only way to resolve that inner turmoil right now is to “walk no more” with the Saints. If you live as long as I have, you will come to know that things have a way of resolving themselves. An inspired insight or revelation may shed new light on an issue. Remember, the Restoration is not an event, but it continues to unfold. Never abandon the great truths revealed through the Prophet Joseph Smith. Never stop reading, pondering, and applying the doctrine of Christ contained in the Book of Mormon. 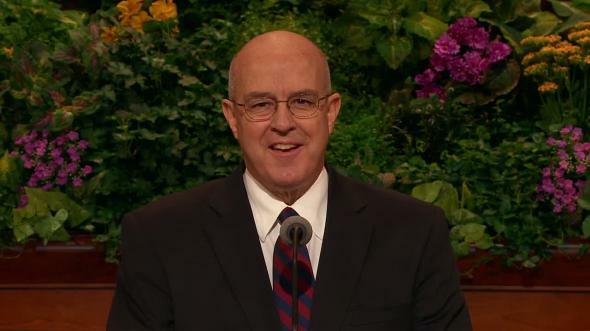 So before you make that spiritually perilous choice to leave, I encourage you to stop and think carefully before giving up whatever it was that brought you to your testimony of the restored Church of Jesus Christ in the first place. Stop and think about what you have felt here and why you felt it. Think about the times when the Holy Ghost has borne witness to you of eternal truth. 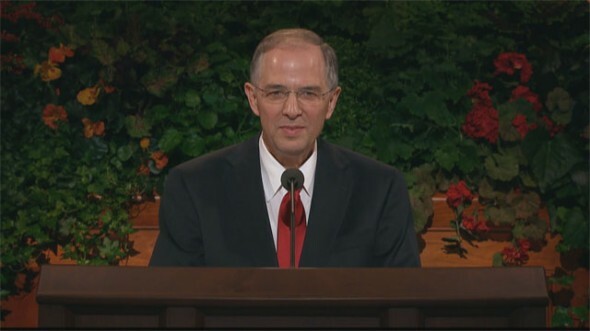 Where will you go to find others who share your belief in personal, loving Heavenly Parents, who teach us how to return to Their eternal presence? Where will you go to be taught about a Savior who is your best friend, who not only suffered for your sins but who also suffered “pains and afflictions and temptations of every kind” so “that his bowels may be filled with mercy, according to the flesh, that he may know according to the flesh how to succor his people according to their infirmities,”7 including, I believe, the infirmity of loss of faith? 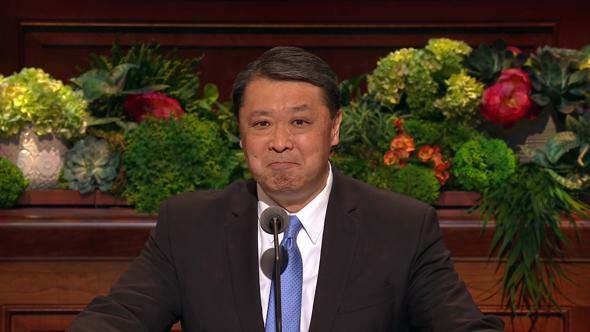 Where will you go to learn more about Heavenly Father’s plan for our eternal happiness and peace, a plan that is filled with wondrous possibilities, teachings, and guidance for our mortal and eternal lives? Remember, the plan of salvation gives mortal life meaning, purpose, and direction. Where will you go to find a detailed and inspired Church organizational structure through which you are taught and supported by men and women who are deeply committed to serving the Lord by serving you and your family? 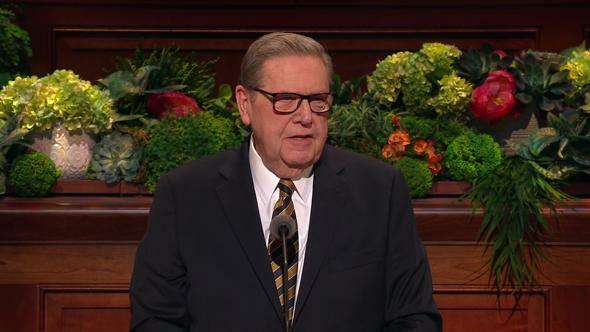 Where will you go to find living prophets and apostles, who are called by God to give you another resource for counsel, understanding, comfort, and inspiration for the challenges of our day? Where will you go to find people who live by a prescribed set of values and standards that you share and want to pass along to your children and grandchildren? 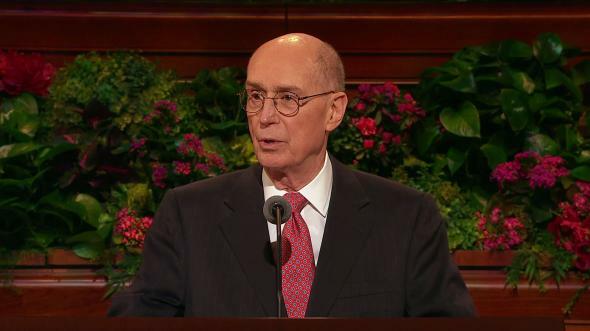 And where will you go to experience the joy that comes through the saving ordinances and covenants of the temple? Brothers and sisters, accepting and living the gospel of Christ can be challenging. It has always been thus, and it ever will be. Life can be like hikers ascending a steep and arduous trail. It is a natural and normal thing to occasionally pause on the path to catch our breath, to recalculate our bearings, and to reconsider our pace. Not everyone needs to pause on the path, but there is nothing wrong with doing so when your circumstances require. In fact, it can be a positive thing for those who take full advantage of the opportunity to refresh themselves with the living water of the gospel of Christ. The danger comes when someone chooses to wander away from the path that leads to the tree of life.8 Sometimes we can learn, study, and know, and sometimes we have to believe, trust, and hope. 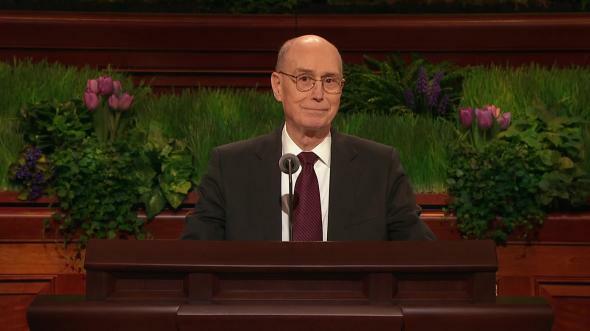 In the end, each one of us must respond to the Savior’s question: “Will ye also go away?”9 We all have to search for our own answer to that question. For some, the answer is easy; for others, it is difficult. I don’t pretend to know why faith to believe comes easier for some than for others. 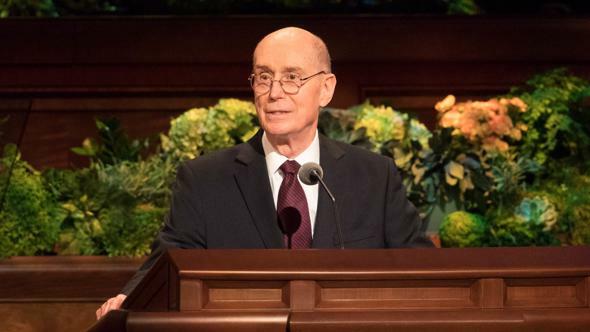 I’m just so grateful to know that the answers are always there, and if we seek them—really seek with real intent and with full purpose of a prayerful heart—we will eventually find the answers to our questions as we continue on the gospel path. In my ministry, I have known those who have drifted and returned after their trial of faith. My heartfelt plea is that we will encourage, accept, understand, and love those who are struggling with their faith. We must never neglect any of our brothers and sisters. We are all at different places on the path, and we need to minister to one another accordingly. Just as we should open our arms in a spirit of welcoming new converts, so too should we embrace and support those who have questions and are faltering in their faith. Utilizing another familiar metaphor, I pray that anyone thinking of leaving the “Old Ship Zion,” where God and Christ are at the helm, will pause and think carefully before doing so. “To whom shall we go? thou hast the words of eternal life. Jesus is our Savior and Redeemer, and His restored gospel will lead us safely back to the presence of our Heavenly Parents if we remain on the gospel path and follow in His footsteps. To which I testify in the name of Jesus Christ, amen. Neal A. Maxwell, Not My Will, But Thine (1988), 124.